You are here: Home » Contributors » To Pro-Tour or Not to Pro-Tour…That is the Question! To Pro-Tour or Not to Pro-Tour…That is the Question! This is not that hoity-toity of a subject to use Shakespeare terminology on, but the question is a good one anyway. When taking on “restoring” a muscle car, should it be kept stock as it was born from the factory, or should it be updated with modern technology, maybe go Pro-Touring? It’s actually something I see folks struggle with when they take on a project car. A few years ago, the answer for me was easy; I was a purist. I was a numbers-matching, go by the VIN, original color only, chalk mark, Build Sheet bigot. To deviate from the original build sheet was blasphemy. That was for two reasons; the first was “numbers matching” muscle cars were bringing the top dollars and I wanted to get the most out of my time and investment. The second reason was that there was a lot of satisfaction in seeing a car returned to its original glory, the way it might have looked in 1969 sitting on the showroom floor. I have had the enjoyment of being able to build a few cars for myself, as well as building a few cars for others with that goal in mind. But now my view has changed with time. With my own cars that I’ve built with date coded NOS parts, “numbers matching” and restored in the most purist way, I can’t bring myself to drive them. I couldn’t imagine getting caught in the rain to spoil my museum quality restoration. Would I get that $1,000 NOS grille filled with bugs? NEVER! I love the cars, but they sit in the corner most of the time and are nice to look at, but from an enthusiast perspective I can’t do much more with them. With that said, they were fun cars to restore; hunting down NOS date coded parts, doing the research, etc.. I don’t at all minimize the work and fun that is involved in a numbers matching restoration or the places that holds them in a collection. 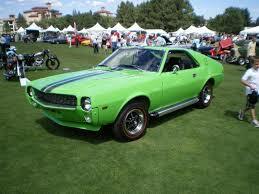 But, then there is the enthusiast side of me that loves seeing a muscle car taken to the limits of its potential. There is nothing like the eye candy of a set of Wilwood, Brembo, or SSBC big brakes all the way around, the car lowered with the right tire/wheel combination to get that “look,” and the performance thrill of modern high-performance engine drive train upgrades. When I see a Pro-Touring muscle car built right, I get like my dog when I scratch his belly… my leg begins to shake and I can’t hold back that smile on my face (I’m sure my dog smiles too). The other thing that makes me smile is the prices that some of the Clone, Resto-Mod or Pro-Touring cars are bringing at auction. Now granted, the big dollars are going to the top Pro-Touring and Resto-Mods, but they are gaining incredible popularity and increasingly turning the heads of enthusiasts. Then there is the fun of actually driving the Pro-Touring muscle car. It can actually go around corners, way different than a bone stock Road Runner or 442 for example. Modern coil-over suspensions, brakes, sway bars, and tires can not only make the car fun in the corners and stop on a dime, but also make them safer. Then there are creature comforts. Driving a new Camaro, Mustang or Challenger is meant to invoke the muscle car feeling with modern creature comforts, and performance. A new Challenger SRT8 will stomp all over the original Challenger in the corners, on the highway, and you can still have the A/C on, listen to a high-end sub woofered sound system connected to your iPod, and have power windows, comfortable power seats (with seat heaters), a GPS, and do it all at 100+ mph if you wish. 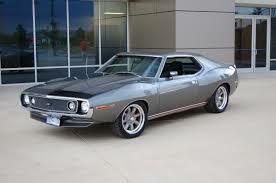 Why not have all of that in an original Challenger, Road Runner, AMX or Mustang? That’s what Pro-touring is all about, and that’s what makes me ask the question of someone who comes to me unsure about how they want to do their car. To pro-tour, or not to pro-tour. That is the question because there is so much fun to be had with the car when it’s done. 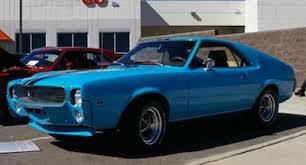 So when it’s all said and done, I kinda look at it this way; I can go out and spend $40k+ on a new Camaro that looks like the original Camaro, or I can spend the same amount of cash and get a real 1969 Camaro with all the comforts, technology and performance of the 21st Century. The other thing that I came to realize with time is that not every old muscle car is truly “high dollar.” A plane- Jane base model Challenger, Cuda, Mustang, Javelin or Camaro is certainly not worth the same as a Yenko, Boss, or Hemi car. Might a base model Mustang built with a Pro-Touring theme actually be a more desirable car, and maybe worth more from a value perspective at the end of the day than the “correct” numbers matching base model? Is a quality Yenko clone more attractive to own and look at than the base model car, maybe with a six banger or a base V8? You already know the answer. Lots of base model Camaros, Challengers, Javelins, Mustangs and Novas are being “saved” by turning them into clones of their big brothers. In the end, the question “to Pro-Tour or not Pro-Tour” can only be answered as a matter of personal choice. So here we are at the end of 2011… going into the 12th year of the 21st Century. Where did all the time go? What are your plans for your cars next year? Whether it’s a numbers matching, date coded restoration, a Resto-Mod, or Pro-Touring project, we should all take a few moments to pause and reflect. While the last couple years have been tough for many from a job and financial perspective, maybe we have had to put our project or dreams on hold for a bit. But let’s not forget what we do have; our family, freedom, and a great, unique American culture built around the automobile. Car shows, car magazines, and even TheMuscleCarPlace.com are all part of our unique culture that we have to be thankful for. Wayne is a former tech company CEO turned AMC muscle car builder and lives where the mountains are snow capped and coffee tastes like heaven. He and his son Aaron own ColoradoAMX Motorsports together and are located near Denver. Wayne Davis has written 8 articles for us.